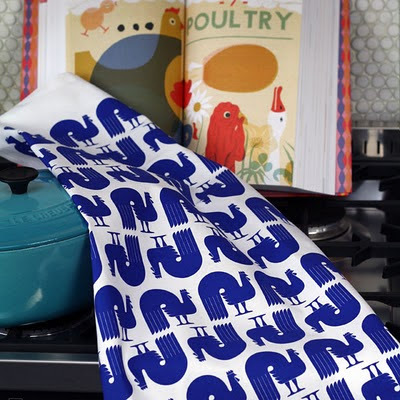 Well then... this Roosters tea towel is perfect for you! Designed by the lovely Luzelle from new supplier Mengsel, Roosters is priced at £9 and is made from 100% cotton. Tell us a bit about Darling Clementine... Who are you both and how/when did you start working together? We both have the same background having taken our degrees in England (Manchester for Ingrid and London/Birmingham for Tonje), but didn't meet until we both moved back to Norway. We still remember the thrill of seeing each other’s university sketch books for the first time; it was like looking at a copy of your own work - so many of the references were the same it was almost a little scary! Ingrid had secretly dreamed about working with Tonje, who had started to sell Darling Clementine cards in some shops in Oslo. It also turned out that Tonje had a framed illustration on her kitchen wall in London made by Ingrid, and had tried to track her down but without any luck. When we finally met we were so happy to have found each other! 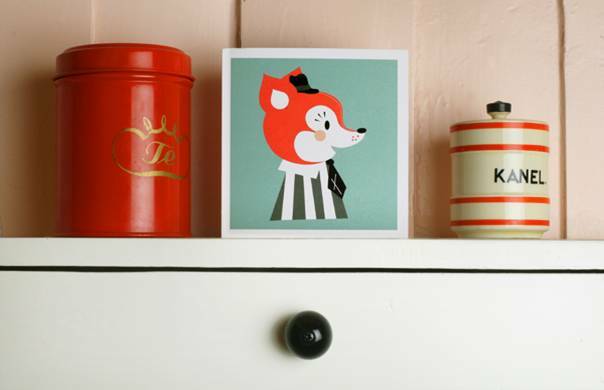 We love the name Darling Clementine! Where did it come from? The name came from Tonje's MA project which was a project on nostalgia and how the influences of childhood aesthetics shaped her current work as a designer. Darling Clementine references the song which my Dad used to sing to me when I was little (and it was really sweet as he really can't sing!!) Also, it suggests a narrative, a person, which makes it a great name. 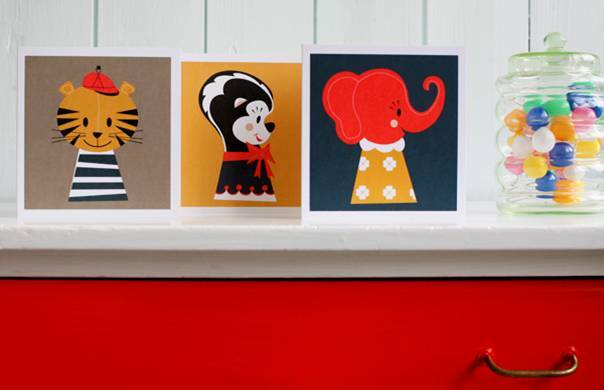 Your greetings cards are incredibly popular in the UK and abroad. How did you decide to work with this medium (as there isn’t really the same card-giving culture in Norway)? It started out being the easiest and most affordable product to produce in order to get our designs out there. We also really like the idea that we're encouraging people to tell each other more often how much they appreciate one another without there really being an occasion. 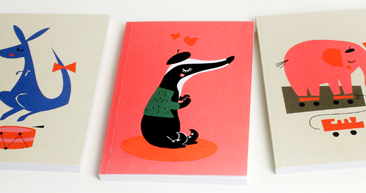 Where do you get your inspiration from for your different designs (how do you come up with a badger wearing a beret)? We get inspiration from anything and everything, from classic illustrators like Paul Rand and Pascal Blanchet, to things we find in flea markets, blogs and contemporary fashion and design. We also tend to 'fall in love' with things for a while, we've had our moustache and beret phase (we still have flash backs from that love affair actually!! ), Paris and everything French, harlequin diamonds and our favourite colour orange-red! 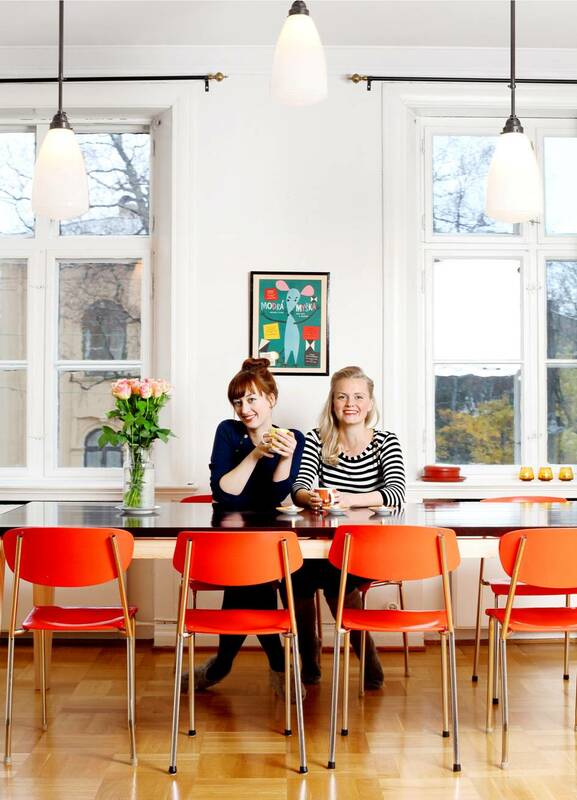 We were really excited to hear about your project to rebrand Norway’s most popular ice cream brand (Diplom-Is). You’ve given their famous character, Eskimonika, a new cheeky smile. Can you tell us more about it (and does this mean you will get free ice-cream for life)? We've heard nothing about free ice cream for life unfortunately!! It was great working on Eskimonika, but it also felt like a big responsibility because she's such a well known character that everyone has a relationship to as she has looked the same for 70 years. We wanted to keep her familiar but fresh, and feel happy with the result! What’s a typical working day like for Darling Clementine? Our day starts, without exception, with turning on the coffee machine so we can start the day with a nice cortado. We try to plan our days, but it's sometimes hard to keep it strict as we are good friends and know each other so well now. But we always start the week with Monday meetings, and then we divide our time with freelance work and self initiated projects. A lot of your illustrations have a nostalgic feel to them. Do you have a favourite period in history with regard to design/fashion/music? We love the 30's for the elegance and clean design, we love Bauhaus for creating design that is so clever and still looks contemporary to this day, but we also adore the rough cut-out style of Paul Rand and Saul Bass, so I guess it's hard to pick one! And finally... You’ve worked with cards, wrapping paper, stationery, cushions, t-shirts and now tea towels! Who does the washing up in your studio and will you be drying up the dishes with your designs? We've been lucky enough to have a dishwasher, so that is a luxury! The towels however will be on display in our office... We are moving office on the 1st of May to a cute place with a shop front and chess pattern floor tiles, so they will surely find their home there! ToDryFor says allo-allo to Darling Clementine! Ooh-la la! We are incredibly excited to be able to announce our collaboration with Norwegian design agency, Darling Clementine! We have been working hard over the last couple of months, producing a brand new, très-chic range of tea towels featuring Darling Clementine's exquisite Parisian-inspired designs. The Paris tea towel range is made of 100% unbleached, natural cotton - the perfect way to add a touch of je ne sais quoi to your kitchen!